Sustainable Living Tucson: Are you a good weed or a bad weed? You may have heard the saying: one person's weed is another person's wildflower. 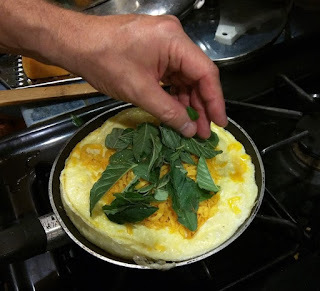 Since I began harvesting edible weeds, I've really started looking at them. Really seeing them. Some are pretty even before they bloom. They make lovely ground cover. But we've been taught to weed out any that aren't in Better Homes and Gardens. 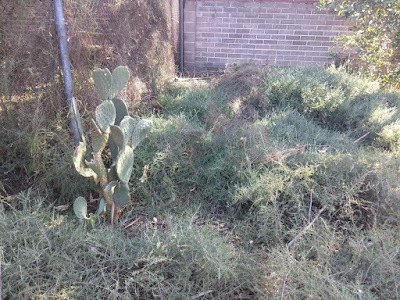 Perhaps businessmen called them weeds because they are free. They can't make money off of them, so they invented weed killer. 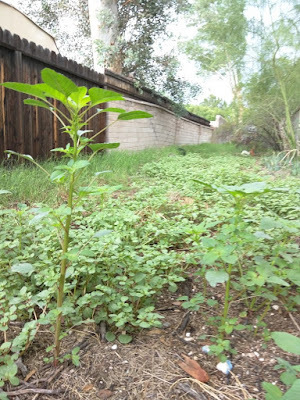 There are other reasons for weeds like nourishing or repairing the soil. 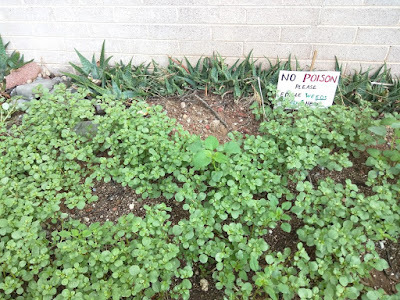 I guess I would call weeds unwanted, intrusive pants. Most of us call Bermuda grass a weed. It's such nuisance! 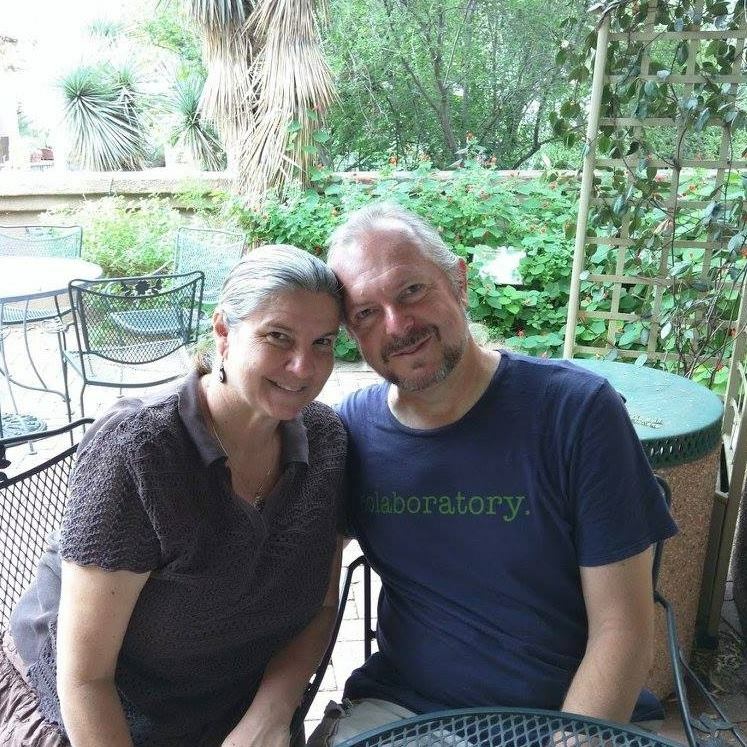 But my husband Dan sees it as a desert survivor. It needs very little water, and you can't get rid of it. It's here to stay! The lawn in our neighborhood park is made up mostly of Bermuda grass. Dan also dried up some and used it (successfully!) as mulch for our gardens. It's all a matter of perspective. We have a weed (yes! I call it a weed!) that starts off innocently enough with two sweet little leaves, and then grows into a pretty bush with fuzzy light green needles. These "bushes" climbed up the garden fence and over the top and dropped tiny red berries (seeds) into our garden. 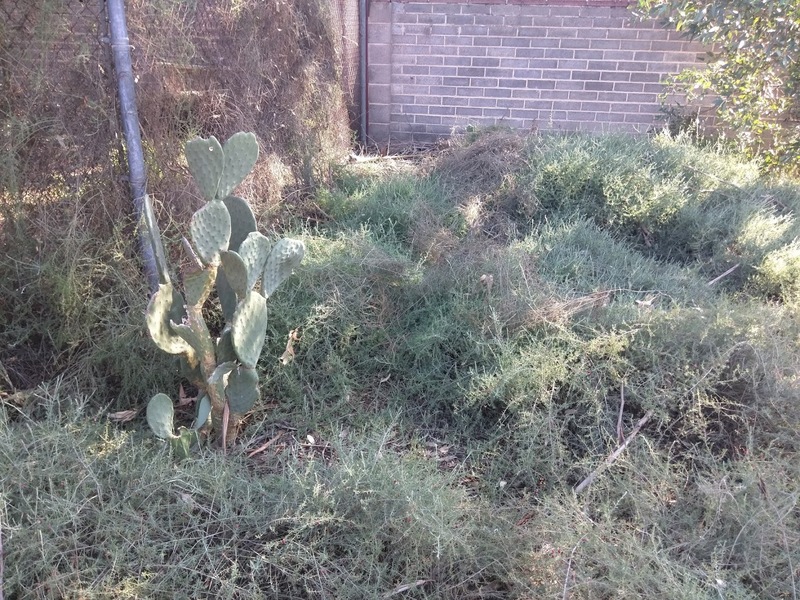 I spent hours pulling those bushes that lined the fence out by their deeply embedded roots. These cute little weeds are the bane of my existence. Every morning there are new ones to pick out of our garden. On a good day, it's just a handful. But I usually fill up a medium mixing bowl. These bushes took over one quarter of our yard and threatened to take over the whole alleyway before Dan and I spent a brutal morning pulling them out. Dan has since planted another garden in that plot. 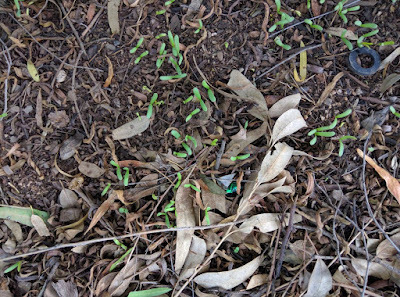 The soil under these weeds was so rich! One person's weed is another person's fresh greens. 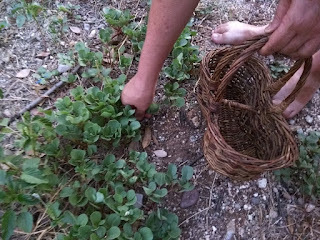 In fact, the Tohono O'odham called purslane and amaranth summer greens. Last summer we discovered purslane behind the neighbor's wall. I was determined to make sure that the patch returned. I bet Dan thought I was crazy for pulling Bermuda grass in the utility road. But I wanted to make sure people didn't use roundup on my favorite edible weed. For a long time nothing grew. Until... we had a couple of big storms. Then we had horse purslane. More rain, more purslane. 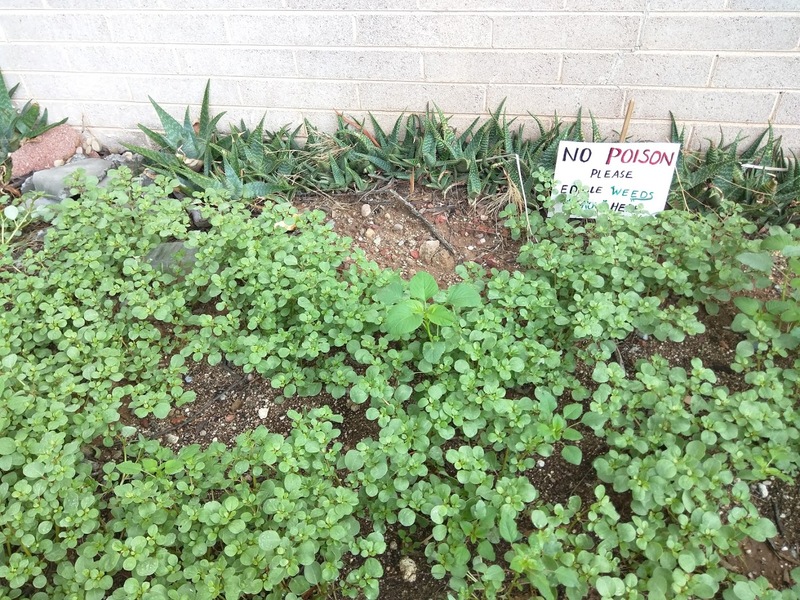 Common purslane and amaranth! It grew every place I had pulled out the grass! Nearly everyday we pick some purslane or amaranth from our backyard buffet. You can snap off common purslane (with the tear-shaped leaves) and pop them in your mouth. To me it tastes like a combination of parsley and citrus. Some people think it tastes slightly peppery. It's great raw, stems and all, for salads. It's also yummy sauteed like spinach, on meat, in soups and sauces. If you snap off the branches where they meet the stem, you can leave the rest of the plant in the ground to grow more! 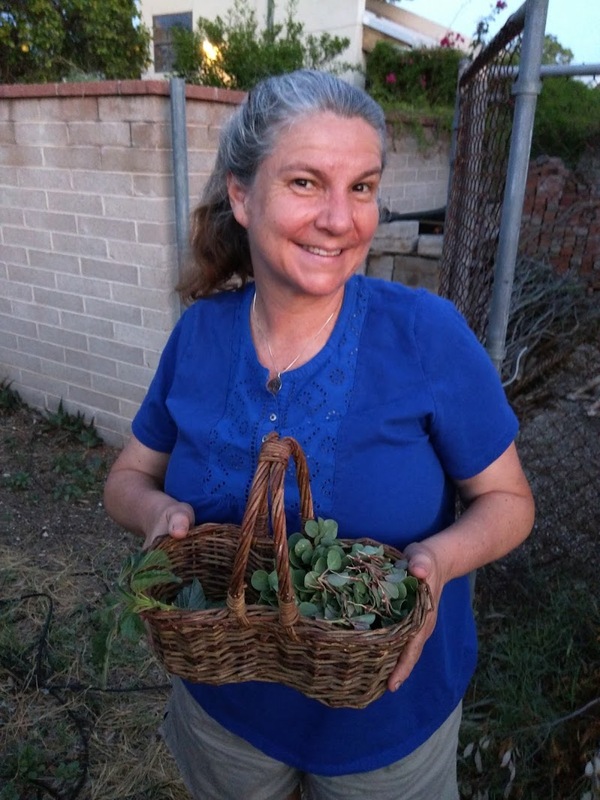 We've got tons of native horse purslane growing in our alleyway. You can identify it by it's round leaves. Unfortunately horse purslane makes my throat scratchy if eaten raw. 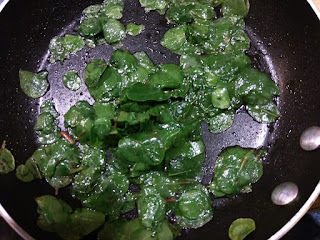 So I saute the leaves or cook them in sauces or soups and enjoy all that omega 3. Horse purslane sauteed with garlic is delish on crusty bread with goat cheese! 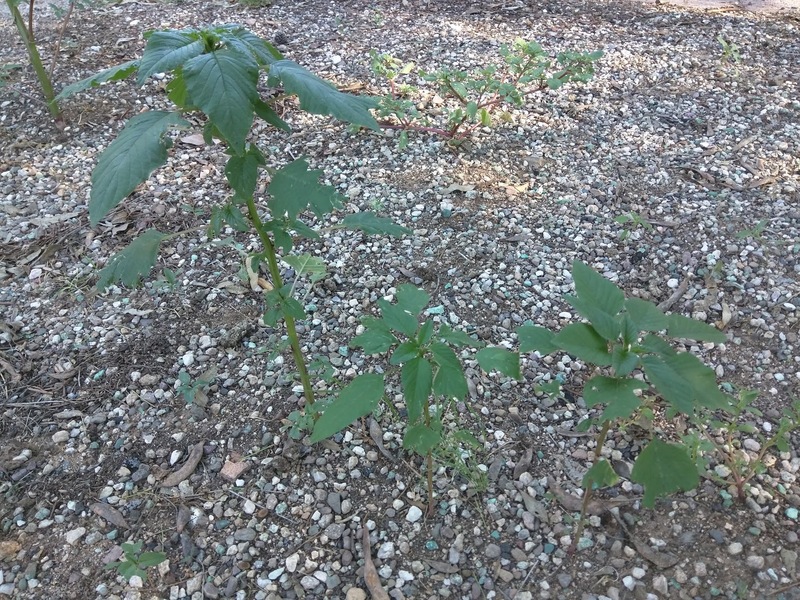 It was a pleasant surprise when amaranth popped up next to the purslane! Our guide to native foods suggested that we eat the leaves when the plant is still small. 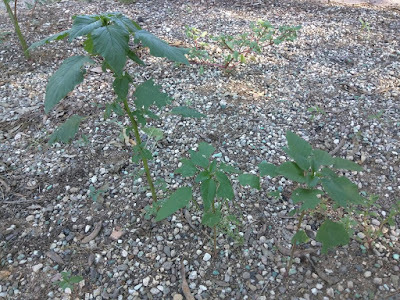 If you pull off those on the outside and leave behind the little ones in the middle, the plant will produce more leaves to eat. 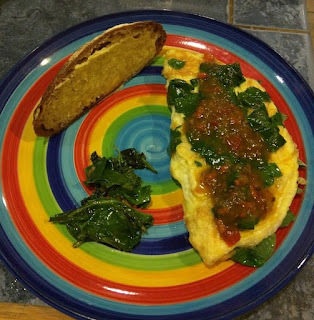 Dan puts uncooked amaranth in his omelet, then tops it with sauteed purslane and salsa! Who gets to decide what's an ugly weed and what's a useful plant? It all depends on how you look at it. 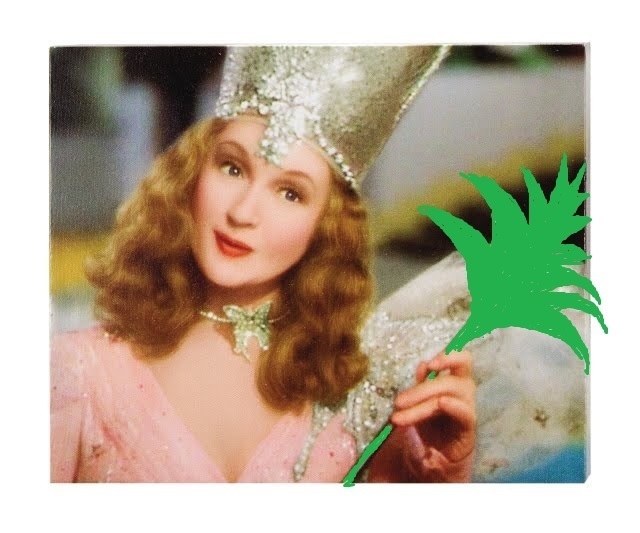 When I walk down the street, I don't see pesky weeds growing in the cracks of the sidewalk. I see lunch.